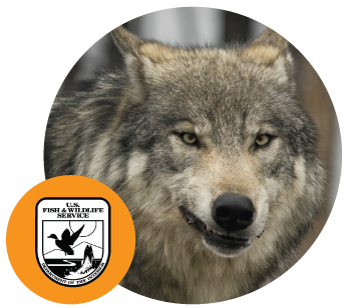 Public comment at USFWS field hearings is for the purpose of assisting them in the decision process of delisting gray wolves nationally, and listing the Mexican gray wolf as an endangered sub-species to expand the Mexican gray wolf program in New Mexico and Nevada. This is an opportunity for the USFWS to hear relevant comments and concerns directly from the public. If you’re affiliated with a group; introduce your group, in a sentence or two, say your group’s name and purpose. State your comments and/or concerns, state the problem as you see it from your perspective. Talk about the ESA and wolves specifically. Speak directly to the USFWS representatives – not the audience. Do not ask questions. The USFWS is there to hear from the public not to engage in debate or answer questions. They will likely ignore any direct questions. Prepare to speak for 2-3 minutes. Plants and animals not in danger of extinction should not be granted rights that impede business, industry and livelihoods. The Gray Wolf is NOT in danger of extinction and has far exceeded the numbers originally proposed for the recovery effort. Higher than expected wolf population growth has resulted in devastating impacts on rural communities – particularly small business owners in the livestock industry. State wildlife populations have seen steep declines from aggressive predation. State economies that rely on healthy wildlife populations are losing industry, jobs and tax revenues. State and local governments are best qualified to manage their wildlife, including wolf populations. The interests of wild animals should never be considered more important than the interests of mankind. State’s rights should not be infringed through broad applications of the Commerce Clause. Economic consequences should always be considered in the ESA rule making process. Comments may be submitted electronically using the Federal eRulemaking Portal. Public comment on wolf delisting must be received by 11:59 p.m. Eastern Time on December 17, 2013.